Heat-Seeking Mosquitoes Sense The Temperature of Sleeping Humans There’s a reason you’re always bitten up in bed. 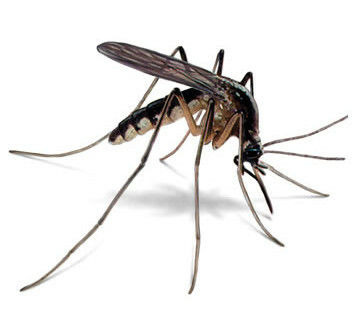 Mosquitoes seem exquisitely tuned to cause humans the maximum pain and annoyance. 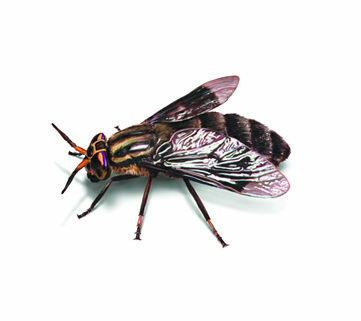 Now new research shows that the little buzzing monsters are even better at hunting warm-bodied creatures than we thought. Thermotaxis is the movement of an organism towards or away from a source of heat and is usually done to regulate body temperature—cuddling up in bed on a cold night, for example. But some species, including bed bugs, ticks, and kissing bugs, also use thermotaxis to find their prey. A new study out of Rockefeller University adds female mosquitoes to that list—it finds they are attracted to human body heat as they seek a blood meal. The mosquito is sensitive to a narrow range of temperatures that correspond to the body heat of its victims, warm-blooded mammals, and uses this sensitivity to seek out dinner. Researchers Román Corfas and Leslie Vosshall have isolated the temperature range to which it is drawn and also identified the gene that allows such accurate detection. Here’s something even crazier: They found that the mosquito is especially stimulated by temperatures 4.5˚F above ambient temperature, which means it self-tunes to detect warm bodies, even as surrounding temperatures change. A mosquito can even detect a “warmed stimulus” while flying in a wind tunnel. Genetic modification of all mosquitoes might not be practical, but in their conclusion, the researchers make clear how this knowledge could be applied in aiding the design of better mosquito traps, repellents, and control strategies. https://realearthproducts.com/wp-content/uploads/2015/04/skeeter.jpg 360 361 mhabig https://realearthproducts.com/wp-content/uploads/2017/02/brand-1-300x100.png mhabig2015-04-27 23:14:092016-02-09 14:22:32Heat-Seeking Mosquitoes Sense The Temperature of Sleeping Humans There's a reason you're always bitten up in bed.